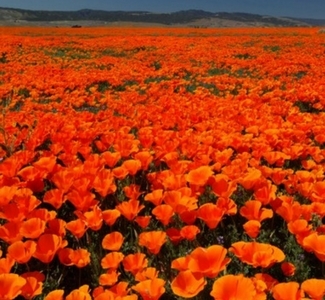 Each spring, the Antelope Valley California Poppy Reserve comes alive with the seasonal surprises of the Mojave Desert Grassland habitat. Eight miles of trails through the gentle rolling hills, including a paved section for wheelchair access, make the park a wonderful place to hike and explore any season. Get away from the city and relax in the quietude of the countryside, with only the birds singing and hawks gliding silently overhead.